From personal experience and research that I had later conducted it disarmed me a little to learn that introverts are more susceptible to depression. Being an introvert myself I have had long phases when I used to be down and unhappy. I had mistakenly referred to it at times as being ‘depressed’ even though it was not clinical depression. 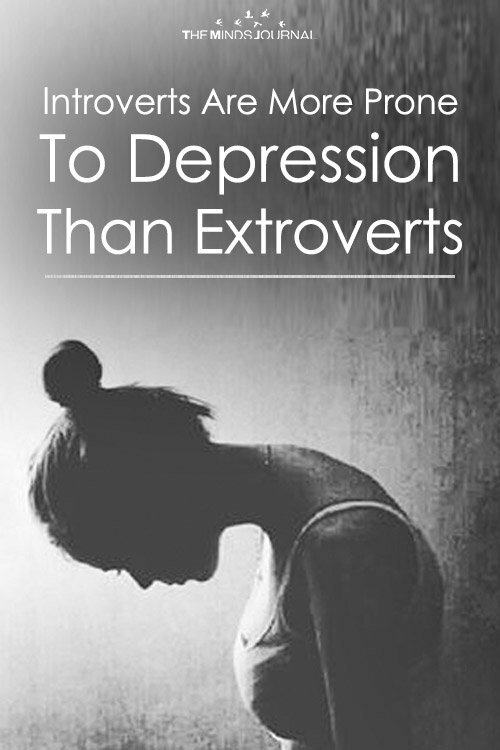 According to Janowsky’s (2001) research, he pointed out a lot of evidence that might indicate a connection between depression and introversion. A study (Moeller et al. 2015) as conducted on 301 Danish patients (excluding persons suffering from bipolar disorder, nonaffective psychiatric disorder or recurrent depression.) between the ages 18-70 to analyze a single depressive situation (based on ICD-10 criteria). The study which used the Eysenck Personality Questionnaire to determine whether such a connection existed found that there was no relationship between extroversion and depression and moreover extroversion afforded a kind of protection from depression. Coming to introverts, they respond to stress by withdrawing themselves from other people which lead them to face increased burden of anxiety in the lack of company. In such a scenario, an absence of positive affirmation can eventually lead to an episode of depression. 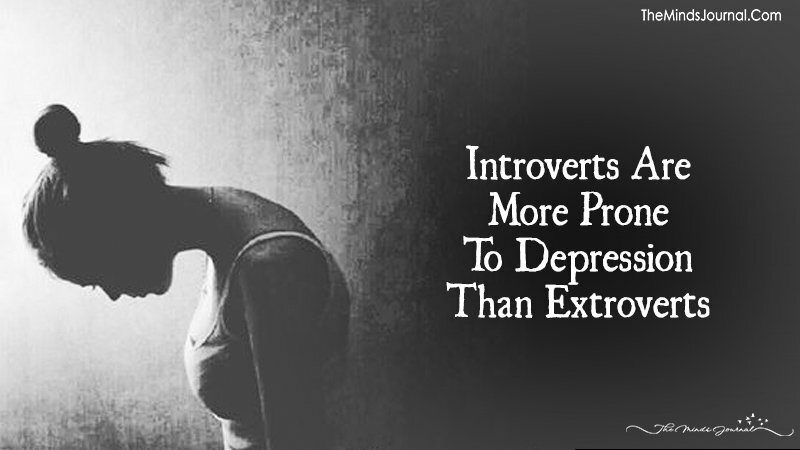 Therefore, it might as well be true that introverts are more prone to depression than extroverts. Given their general predisposition, they tend to internalize their problems, unlike extroverts who try to solve theirs by discussing with others. Introverts spend a lot of time and effort contemplating over their problems and trying to work out a solution. Sometimes this can be too burdensome for them and might start adversely affecting their mental well-being. Although this might not be the only-only reason why introverts are more likely to suffer from depression. The psychologist Elaine Aron says that introverts are highly sensitive people and they can minutely observe the gestures and actions of other people to the extent that they can feel what others might think or feel. Moreover, they are caring persons as well and thus, the sufferings of others affect them a great deal. Injustice and unfairness happening around them can impart a lot of negativity into their minds. However, it would be wrong to regard introverts are essentially weak people. They are great human beings who know about their inner selves and how to engage with them. Helgoe, L.A. (2013). Introvert Power: Why Your Inner Life Is Your Hidden Strength. Second Edition. Illinois: Sourcebooks, Inc.